Many LinkedIn users created their profile years ago when they were in a rush to join LinkedIn and have never gone back to update and improve their profile. 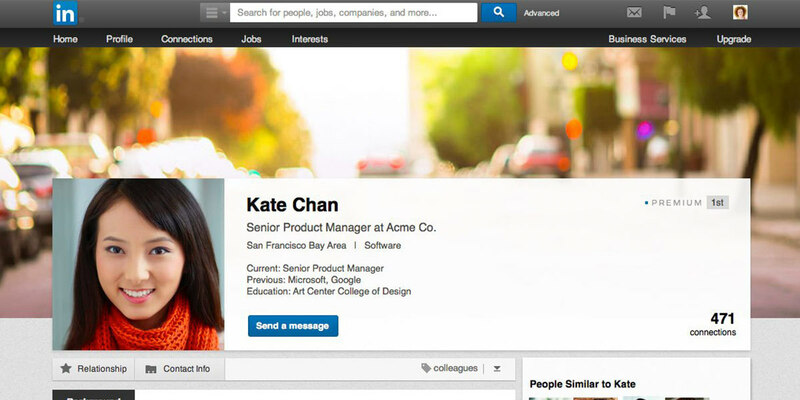 Your LinkedIn profile should be current and relevant. There are too many examples of business professionals who don’t realize the importance of their profile photo. Suffice to say there are some really bad profile photos on LinkedIn and profiles without a photo nearly raises some suspicion. Many people don't realize the importance of making their headline sound interesting or captivating and have written their summary in the 3rd person. Writing in a passive voice falls flat in comparison to injecting your personality which is achieved when you write in the 1st person. Your LinkedIn profile photo is one of the most important elements of your LinkedIn profile and should be considered to be your calling card. Research shows that just having a photo makes your profile 14 times more likely to be viewed by others. Your profile picture is your first chance to communicate that you are friendly, likeable, and trustworthy. We recommend that you use a professional photographer to take your headshot. A professional will make sure the lighting is flattering and that you are putting your best face forward. On average, this will cost you between $200-$400 and you will get some high-quality photos to use for other online profiles or bios. I have worked with Elizabeth Tremblay from Aviva Studios in Kelowna and she is fantastic. If you can’t afford to have professional photos done, you can still post a good quality photo. Remember to use a photo that looks like you. Make sure your face takes up at least 60% of the frame. Don’t be the person wearing sunglasses, hair all wind blown driving your speed boat. Outdoor photos are great but save them for your Facebook. Crop your photo from the top of your shoulders to just above your head so that your face fills the frame. Your background photo is the second visual element at the top of your profile page. It should complement your profession and get people’s attention. More than anything, the right background photo helps your page stand out, engage attention and stay memorable. If you have a super looking company logo, that can work wonders. Your headline is the MOST important part of your LinkedIn Profile. There is no rule that says the description at the top of your profile page has to be just a job title. LinkedIn gives you 120 words to describe how you see your role and what makes you special. Take time to make sure your potential connections know they’re in the right place and that you are the person who can help them with their specific problems. Listing your skills is a quick win on LinkedIn – scroll through the list of skills and identify all of those that are relevant to you. Be careful to select the skills that really apply to you and your profession and not just click on a skill because it sounds good. One of the easiest ways to grow your LinkedIn network is to sync your profile with your email address book. This enables LinkedIn to suggest people you could connect with. Beyond this, get into the habit of following up on networking, business meetings and conversations with LinkedIn connection requests. Doing so is a great way of keeping your network vibrant and up to date. Endorsements from other LinkedIn connections substantiate your skills and increases your credibility. Go through your network and identify connections who you feel genuinely deserve an endorsement from you – you will be surprised how many people return the favour. The Publications section is one of the most under-used elements in LinkedIn profiles. Writing an update or an article can showcase your authority and knowledge in your areas of expertise and help you stand out from the crowd. Following influencers on LinkedIn helps to put a range of interesting content in your feed, which you can then share with others when you think it adds value. It also helps to give context to your LinkedIn profile, demonstrating your passion for what you do. All to say, if you have a LinkedIn Profile, you want to make sure that it is current, typo free, professional looking and working to your advantage. If you are interested in getting an assessment done, Jennifer Grant International is at your service.